Accelerator confronts his past when he encounters a new enemy. Touma sees how difficult Fiamma will be to stop. We're still following three stories through Russia. Hamazura is going to get his chance to shine his outrageous fortune on some Russian paramilitary privateers (they're still doing this kind of stuff in the Ukraine...), so we have to content ourselves with Accelerator and Touma. Unfortunately for Touma, which he even acknowledges, he's just a normal person who finds it very difficult to stick his right hand where it needs to get to stop bad people. 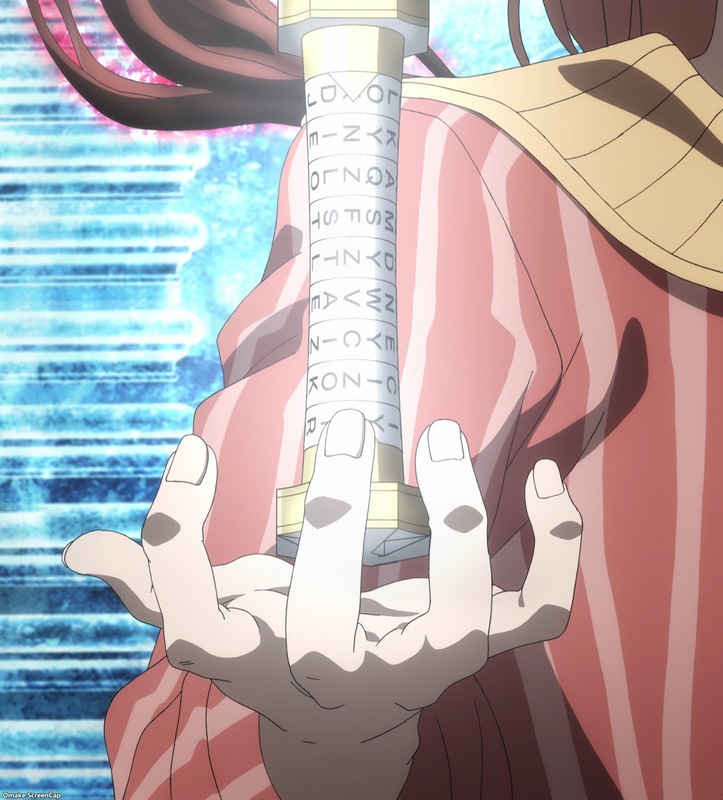 Fiamma, on the other hand, has almost achieved his aim to be the "Michael" of the Right Seat of God by having the power of the Right Hand without actually having the Right Hand. It's an important distinction because he needs to assemble three things to make his imperfect version of the Right Hand the equivalent of being Above God. We learned what he needed Index's remote control governor thing for - to make his demonic claw permanent instead of disintegrating quickly. Why he needs Sasha and Touma's right hand, we don't know yet. The action piece of the episode belongs to Accelerator. 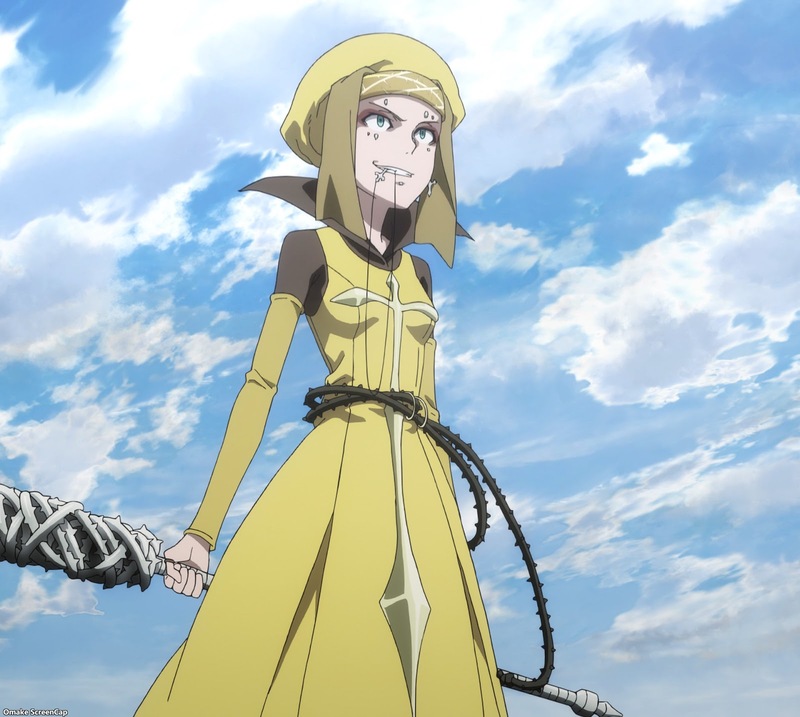 Here he is in Russia to save little Misaka Last Order and he gets a unique MISAKA Sister coming to kill him. But everyone knows a MISAKA can't hurt him if he's serious, so whichever faction of Academy City sent Third Season (were they breezing through the source material just to get Third Season into the THIRD SEASON?) banking on him mentally breaking to either get him or have him go crazy and go on a self-destructive bender. The best part of this sequence is at the end when Accelerator gets the villain transformation music, but he's maliciously shouting that he's going to save Third Season's life and protect Last Order too. Some villain! Accelerator is figuring out that magic exists in this world. He should have known that from working with Etzali, but I suppose he never actually tried to deflect anything. The stuff just decomposes into light particles, which is not how scientific powers work in the realm of physics. Ha. He just kicked a snowball at the hang glider, knocking it out of the sky. This Misaka calls herself Third Season (kind of late in the third season for Third Season to appear, but now we know why so much exposition got skipped in the earlier episodes) and doesn't talk like the MISAKA Network Sisters. She claims to remember coming out of her culture solution too. Evil clone! She says she only has one objective - kill Number 1. Well, she'll try. Back to Touma's fight. Vento has her powers back for some explainable reason that I can't explain. 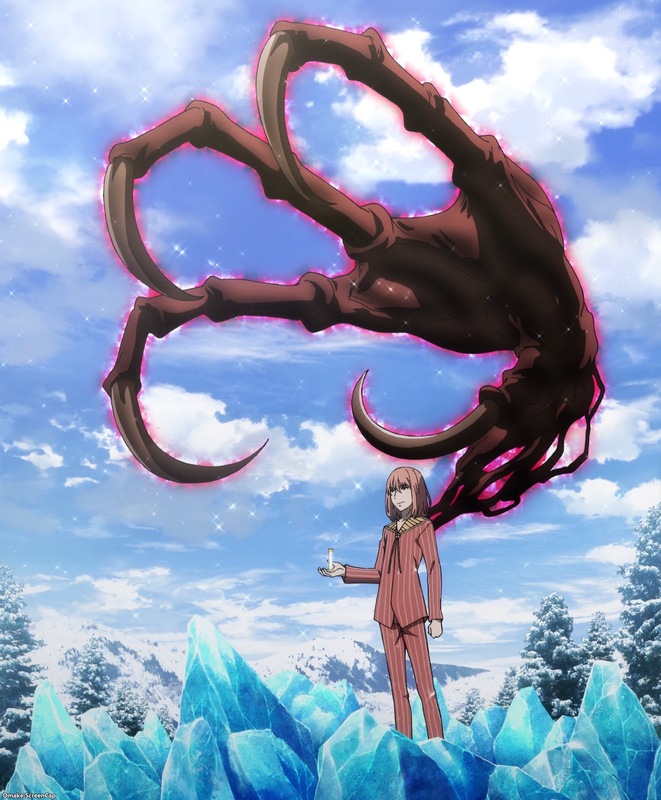 Fiamma needs Sasha and Imagine Breaker to get his Right Hand working properly. He's part way there with Index's "remote control" to keep his demon claw from disappearing. Vento can command part of an Italian fleet. Nice boat. Ouch. Fiamma just yanked Vento's tongue piercing. Vento mentions something about Angel Fall, but Fiamma says it's just the inadequacies of the "great rules" showing themselves. Fiamma talks like a villain where his ends justify his means. He's trying to demoralize Touma for trying to stop him, when all Touma wants to do is protect a loli's smile. It's the Ultimate Good! Index still doesn't know Touma has amnesia, and it's so far away from that first arc, I don't even know why it matters any more. Fiamma grabs Sasha, but can't take Touma yet. Well, he wasn't expecting Touma to be there anyway. His original plan was to mess up Elizalina's place to provoke Sasha into coming. Did Lessar get hurt? She was standing around right before Fiamma disappeared, but now she's collapsed in Elizalina's arms. Third Season is using nails instead of coins. Bad form. She's a bad girl. Accelerator is having psychological problems dealing with a Misaka Sister. Last Order can't make Third Season stand down. Those are not the dead eyes of a MISAKA Network Sister! Third Season claims the MISAKA Sisters are getting more human and they'll all hate Accelerator, even Last Order. Liar! Well, she finally pissed him off, trying to attack Last Order. Guh. That's a beatdown. What happened with the head wound? Aneurysm? Self-destruct implant? Last Order needed a big sister for the Accelerator spin-off to provide fanservice, so Third Season's short skirt without boxer shorts is a go! Ha. Nice. Villain transformation heel-turn music is blaring but Accelerator is evilly shouting about saving Third Season's life and protecting Last Order. Such a villain! Next time, the three Russian threads keep going, but when will they meet up?